From the team that brought you the smash hit Jungle Book, the award-winning Metta Theatre, an Associate Company of Exeter Northcott, return with their extraordinary new adaptation of Little Mermaid. With spectacular circus, awe-inspiring acrobatics and spellbinding original songs this is a show for everyone. This breathtakingly beautiful production will enchant everyone from 8 to 108. A triumphant tale of love overcoming all. Tickets from £13. Family tickets available from £39. 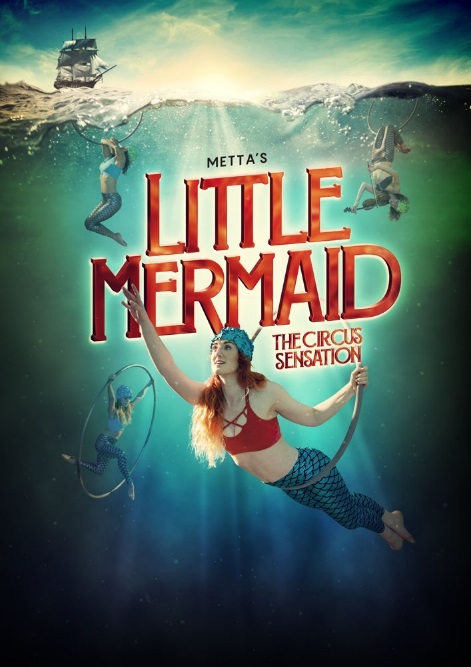 To book or for more information visit the show page on Exeter Northcott Theatre’s website https://exeternorthcott.co.uk/calendar/little-mermaid/ or call the box office directly on 01392 72 63 63. The box office is open Monday to Saturday 10am to 6pm.